North Penn's Kelly Macnamara is making quite the impact. 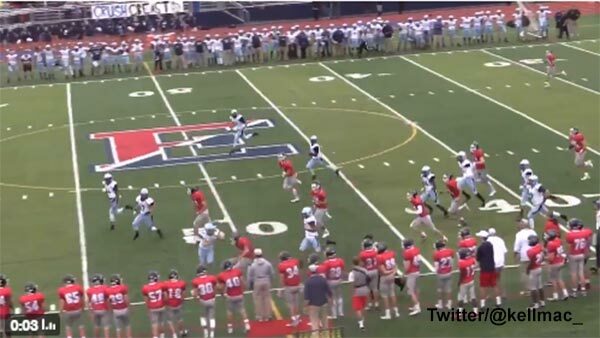 The first female football player in the history of North Penn High School tweeted a video of her hard-hitting block on a Central Bucks East High School player during their Suburban One League Continental Conference game Saturday - and the video has gone viral. Macnamara joined the team last season as a sophomore, ESPN's Sean Hurd reports. The junior also kicked two field goals and three extra points in the Knight's 33-14 win. As Hurd writes, "Who said kickers can't hit?" Along with the video, Macnamara tweeted "7-0" referring to North Penn's undefeated record for the season.